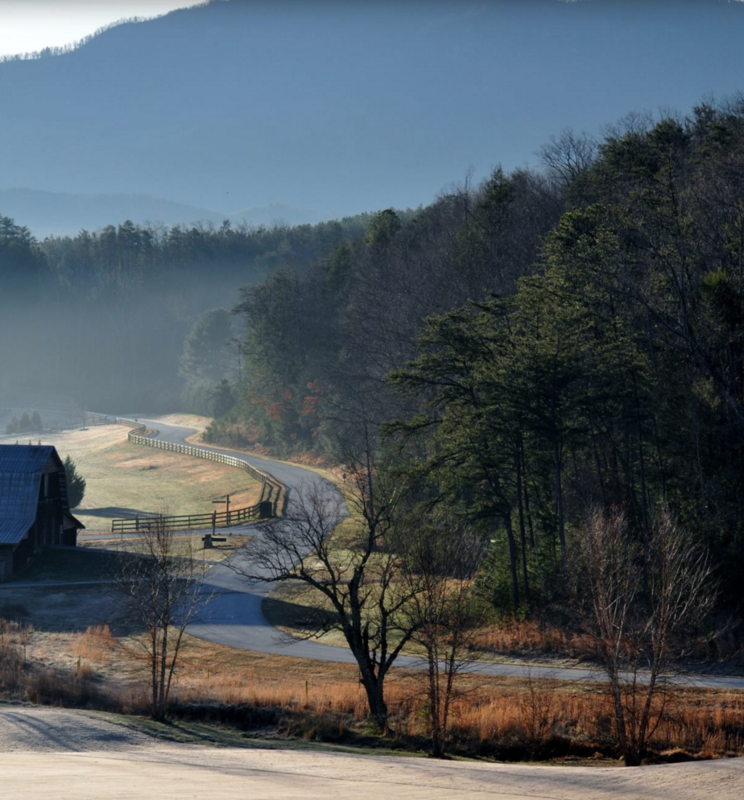 The Tryon area has been a well established destination in the equestrian world for almost a century; the social elite have come for generations to spend cool summers in the Southern Appalachians, away from the coast (i.e. Charleston via the railroad, or on the main road up what is now the I-26 corridor) or to escape to warm winters from places like Michigan, Ohio, and New York. The southern foothills area of the Appalachians starts about an hour due west of Charlotte, NC and an hour north of Greenville, SC. Slowly the hills roll gradually higher until Tryon Peak. 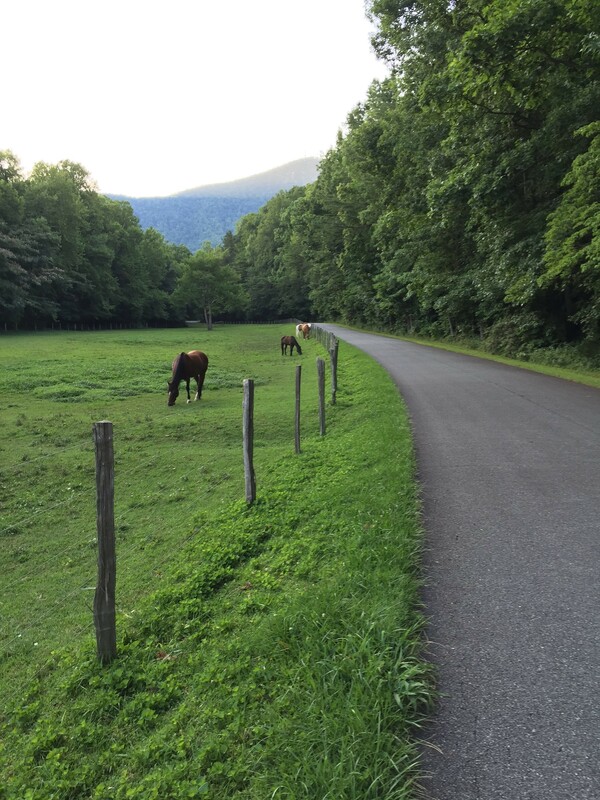 The foothills begin around 700-800 feet above sea level then progressively rise to approximately 1,000–1,500 feet before becoming the southern and eastern slopes of the Blue Ridge Mountains at 3,500-4,000 feet. 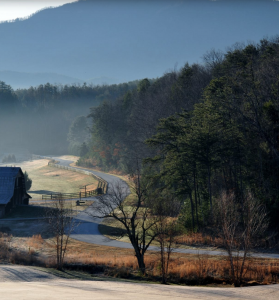 One of the main reasons the Western Carolina Foothills region is so gorgeous is that one can see and feel the dramatic transition of the terrain between the Piedmont Plateau and the Appalachian Mountains. It’s intoxicating. All of this makes this particular area is perfect pasture land – level and rolling, with long range mountain views in the background. 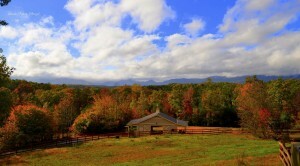 It’s dotted with horse farms, from modest cabins to expansive multi million dollar operations. The most sought after area makes up a sort of Golden Rectangle zone which starts on the eastern edge of Tryon’s town limits, east toward the Broad River, and south of the state line down to Landrum and Campobello. 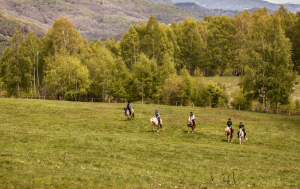 To complete the picture, the area has hundreds of miles of riding trails, protected and maintained by special groups of area residents and land owners dedicated to the equestrian lifestyle. 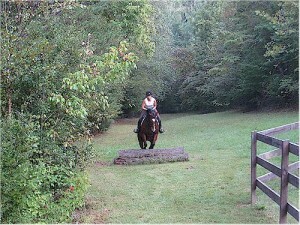 Many of these trails date back to Cherokee hunting lands and are not published on maps. The most well known and notable are the FETA Trails, the CETA Trails, and the GENTS Trails. This Golden Rectangle area is considered downtown horse land. You’re not just near it, but in it. Ride your horse to your neighbor’s, meet friends on horseback for a trail ride, or ride over to the trainer’s for practice. 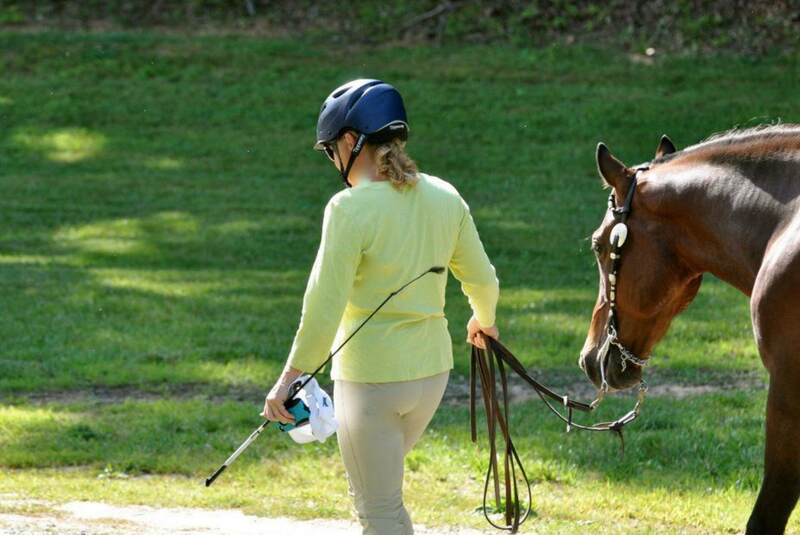 A priceless lifestyle for a horse person. 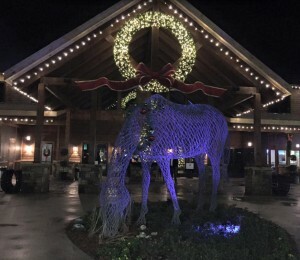 Since the 1970’s, small towns in these foothills region towns have progressively developed a new economy based on catering to equestrians alongside the affluent retirees who have settled in the area. 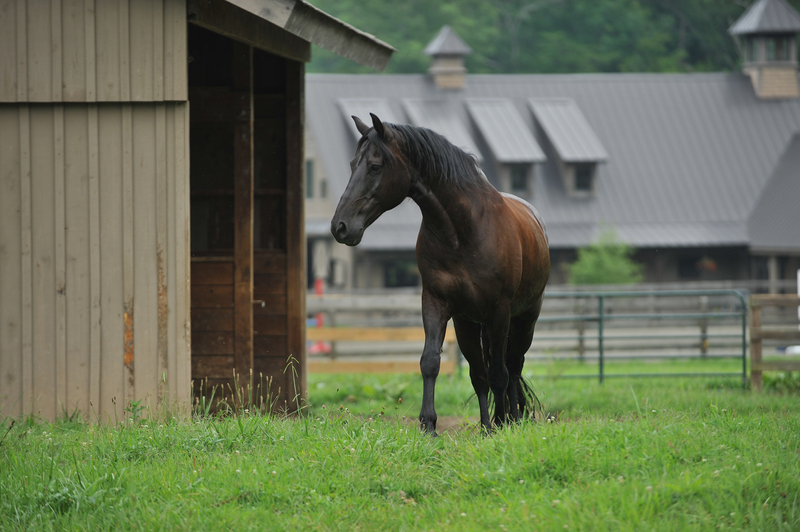 These days, Tryon and Landrum make up a well established community with an active population of locals and visitors focused solely on equine services – trainers, practice facilities, breeders, competitive athletes, groomers, massage therapists, acupuncturists, homeopathic veterinarians…. plus lots of non-practicing horse lovers who feel good just driving through the endlessly beautiful scenes of grazing horses and rolling fence lines. Add all the international visitors – estimated at 20,000 per year – now coming to watch, compete, and care for horses at Tryon International Equestrian Center, opened un 2014 by famed equestrian mogul Mark Bellissimo from Wellington, and you can see, the big time horse world has officially arrived in Tryon. Fortunately for newcomers, real estate prices have not yet risen much from the post bubble freeze. However, most of the properties that have been sitting on the market forever are now selling, so inventory is tight and price increases are inevitable. The equestrian lifestyle, aging baby boomers, and mild weather have created a perfect storm to boost population growth in this area. 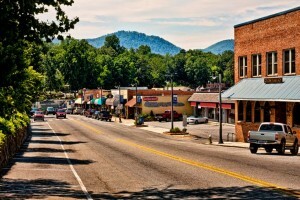 This combined with the beautiful and comparatively affordable setting makes these small towns of Tryon, Columbus, Landrum, has officially put the region on the map, and is no longer just a well kept secret.